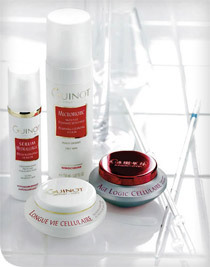 What is it?Guinot is synonymous with result driven, quality treatments and skincare. Salon treatments and dedication to the Beauty Therapy industry have set the standard in professional beauty for more than 40 years. Guinot works closely with leading university facilities and hospital research centres, so products benefit from the latest innovations. Only available from therapists trained in correct practise and application, means clients can be confident of receiving knowledgeable advice and first-class care every time they visit a Guinot appointed salon. Product CategoriesNine categories or Sources: dehydrated, dry, anti-ageing, firming, rebalancing, soothing, wellbeing, radiance and lightening. In addition, there are specific products for the eyes, neck, body, after waxing, sun protection and a small concise range for men. In fact, a product that targets every skin type, skin problem and body part! The PortfolioThe range is treatment orientated which means that work begins in the therapy room. Each treatment has a point of difference, treats the targeted skin concern and gains great results. From here the retail range will maintain the results gained from clinic treatment to ensure complete customer satisfaction. Signature TreatmentsHydradermie is the most advanced professional treatment for maintaining a balanced, healthy complexion. Galvanic current is used to encourage active ingredients to deeper layers of the skin and the stimulating effects of high frequency boosts the circulation and enhances oxygen absorption. It deep-cleanses, rehydrates, regenerates and stimulates cellular renewal. Regular treatments improve cutaneous hydration levels in dry skin; reduce sebum levels in oily skin; and reduce wrinkle depth in wrinkled skin. Hydradermie Lift is a non-invasive anti-ageing treatment, using a gentle micro-current to drain toxins (using Lymphatic Drainage massage techniques), improves microcirculation and stimulates facial muscles. After 4 lift treatments, results showed a 50% reduction in depth of facial lines, particularly around the eye area; and more than 40% increase in overall firmness. Beaute Neuve is a paraben-free, double peeling treatment with pure vitamin C, glycolic and fruit acids. This treatment stimulates cellular renewal, repairs and restores damaged skin cells, replenishes moisture levels and improves skin texture. Aromatic combines essential oils and plant extracts with specialist tension reducing massage techniques to treat the skin and bring back a healthy, dewy look to the skin. Aspect contains chirally corrected active ingredients in the highest concentrations and is sourced from the world's most advanced pharmaceutical and bio-technology companies and uses where possible certified organic ingredients free of pesticides, parabens, perfumes and dyes. In-clinic performance evaluation of each formula has been carried out to ensure efficacy. Aspect contains a complete home care and chemical peel component. 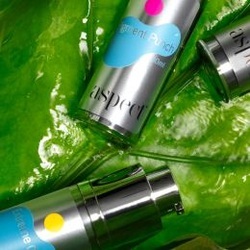 The Aspect range has been developed for men and women who want an effective skin care regime. Aspect is a protected brand not available in department stores or online. CosMedix is a dedicated chirally correct range where innovation, beauty and science converge. 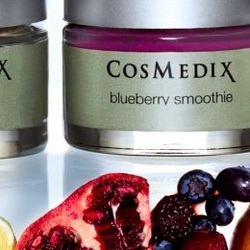 CosMedix is dedicated to using the most natural, effective ingredients in the market place today. We do not use preservatives (the active ingredients act as a natural preservative), biological (ingredients associated with animal or animal testing), artificial colours or synthetic fragrances. Only essential oils or ingredients that test high on the irritancy scales are used. The home maintenance range is suitable for all skin types from oily to the most sensitive. At different stages of our lives our skin undergoes various changes. To keep the skin looking its best CosMedix has a range of peeling agents used only by clinical professionals to enhance and improve the appearance and texture of the skin.